Tripp Derrick Barnes was born in Columbia, South Carolina and raised as a true southern gentleman. He attended Savannah College of Art and Design and found his true passion at 20 years old when he completed a Life Drawing class requirement. After graduating, Tripp traveled the globe, visiting over 16 countries across 4 continents. He studied culture, worked with locals, and helped impoverished children. The entire experience readied him for his next adventure: life in The Big Apple. In 2012, he moved to New York City to work on films such as “The Dark Knight” and “The Secret Life of Walter Mitty. ” On the side, he continued to pursue his love of the arts. 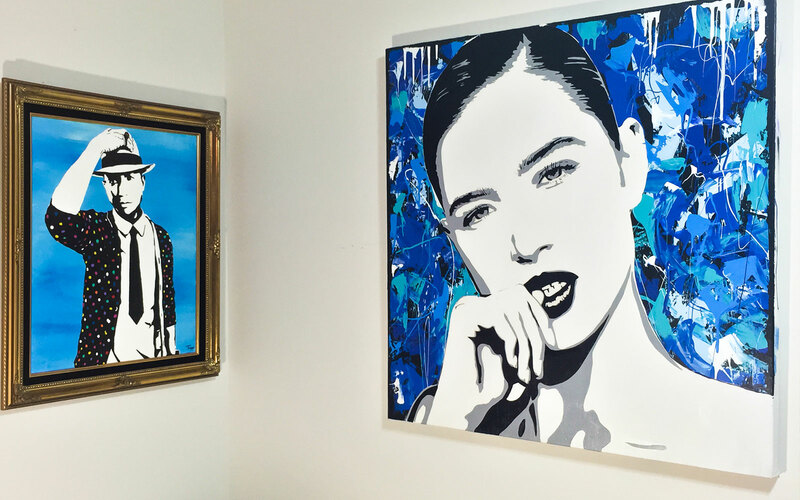 In early 2013, Tripp Derrick Barnes found himself living on the Upper West Side right next door to Steven Swancoat, an OB/GYN by day and painter by night. 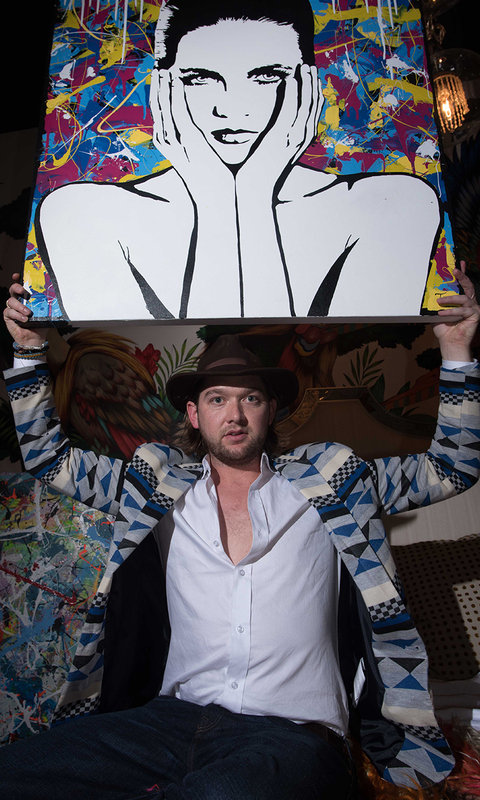 Upon seeing Steven’s paintings, Tripp was inspired to return to his fine art roots, leaving behind the commercial and film production industry. The two began working collaboratively and influencing each other’s styles. Soon after, they coined “PopNeoism”. 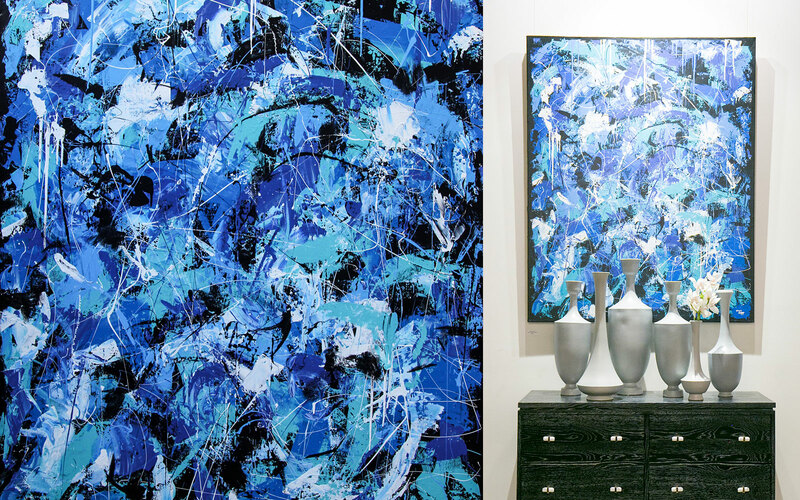 A name meant to reference their combination of abstract expressionism and pop art aesthetics. Over the past couple of years, Tripp has gathered a large social group. A handful of which are actively involved in philanthropy and support him in the goal to better the world through art. In July of 2014, Tripp and PopNeoism had their debut event at SPiN New York, an art show, ping-pong-a-thon, and charity fundraiser. A Actress Susan Sarandon, co-owner of the venue and fan of PopNeoism, donated the entire space for the evening. Tripp’s work, and audience, has been expanding at an ever-increasing rate. 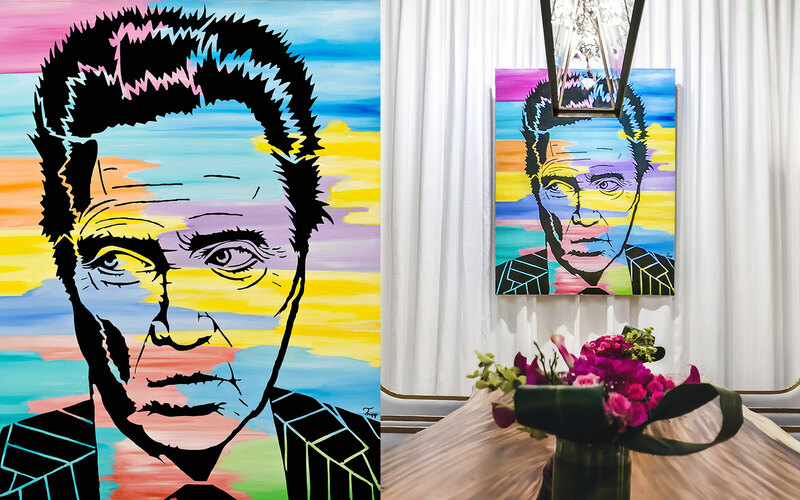 He has been featured on Good Morning America Live, Project Runway, and starred in 5 episodes of Bravo’s “The Singles Project.” He’s also done personal portraits for celebrities such as Matthew Mcconaughey, Quarterback Drew Brees, Susan Sarandon, talk show host Andy Cohen, and rap artist Wakka Flakka.